We meet each and every Sunday at 9 a.m. for worship. Following the worship service there is fellowship time with snacks. Starting at 10:15 a.m., there is Adult Bible Study and Sunday School for children in Kindergarten through 8th grade. It's very common for churches to use the phrase "Come as you are" as a slogan to welcome new people, but after you've been there a while, that phrase doesn't seem to apply anymore-it's only for the newer new people. "Come as you are" gets replaced with "here's another sermon on all the stuff you aren't doing... now get to work!" That's not what we teach and believe as Lutherans! We would really like the chance to explain what we do and why we do it here at Risen Savior; you may find out that Christianity is more simple than you thought, and a whole lot better, too. We are all a bunch of sinners and we don't need to pretend we're anything else. Our faith is focused on Jesus and His amazing love that was expressed on the cross. So consider joining us as we worship the Risen Savior-Jesus Christ. We believe that the Bible is God’s inspired Word and is therefore totally true and relevant to our daily lives. We base all our teaching on the Bible. We believe that the only true God is the Triune God of the Bible: Father, Son, and Holy Spirit. We believe that God sent his only son, Jesus Christ, to rescue all people from the consequences of sin through his life, death, and resurrection. We believe that forgiveness and eternal life in heaven are gifts from God given by grace (undeserved love) alone through faith (trust) in Jesus Christ alone. Risen Savior Evangelical Lutheran Church is a member of the Wisconsin Evangelical Lutheran Synod (WELS), which is one of the three major Lutheran synods. The Missouri Synod (LCMS) and the Evangelical Lutheran Church in America (ELCA) are the other two large Lutheran bodies. WELS is a synod with around 400,000 total members, whereas the LCMS and ELCA are much bigger; the LCMS has around 2.2 million members and ELCA has around 3.7 million members. In general, WELS is characterized by being more theologically conservative than the other two synods (especially the ELCA). Another way of saying this would be: WELS churches are known for being "biblical," meaning they hold to the the Bible more firmly than the latest trends; and "confessional," meaning they hold to (or "confess") the Book of Concord in the specifics of doctrine. The Wisconsin Synod also operates its own publishing house: Northwestern Publishing House. The mission of Northwestern Publishing House is to deliver biblically sound, Christ-centered resources within the Wisconsin Evangelical Lutheran Synod and beyond. To find, solid, Lutheran resources for yourself, someone you love, or to give as a gift, visit the link below. Risen Savior started with a core group of people from Eastside Evangelical Lutheran Church in Madison in 1997. Pastor Daniel Sims was assigned here from Wisconsin Lutheran Seminary. The first worship service took place at the gymnasium of Conrad Elvehjem Elementary School in September of 1998. The congregation grew steadily and moved its worship to the McFarland Municipal Building Community Room. 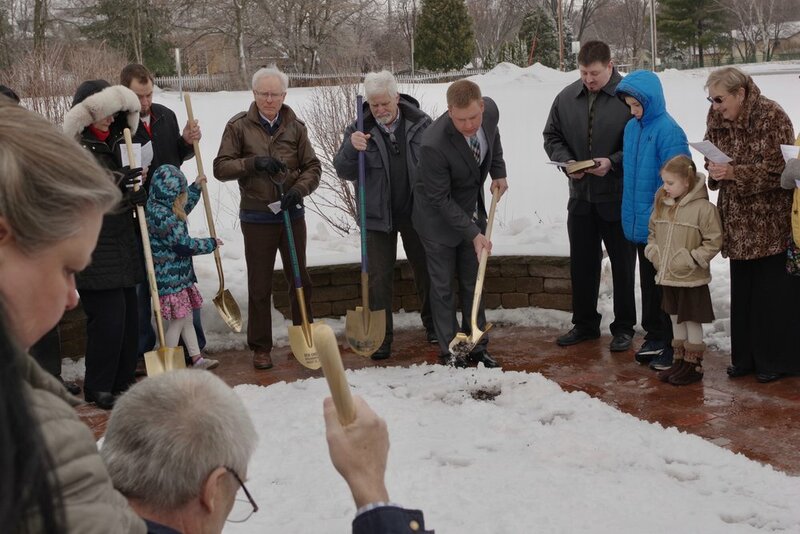 In 2002 Pastor Oliver Lindholm replaced Pastor Sims and helped the congregation through the purchase of land in November 2005. Pastor Nathan Fager came to Risen Savior in July 2006. The church building was dedicated in March 2010. A prayer garden was added in 2011. The group has grown to 170 baptized members and about 125 communicant members [September 2012]. 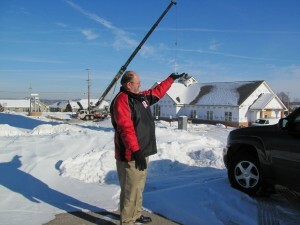 Pastor Fager took a call to St. Paul’s Lutheran Church, Stevensville, Michigan, and departed on January 2, 2013. Pastor Joshua Janke graduated from Wisconsin Lutheran Seminary on May 24, 2013 and was ordained and installed as pastor at Risen Savior on Sunday, July 21, 2013. In November 2005, Risen Savior bought 2.6 acres of land in McFarland on which to build a church. The ground breaking ceremony was held on Sunday, August 23, 2009. The building was completed in February 2010 and a dedication service was held on March 14, 2010. 10 years after the first groundbreaking, we are expanding! Risen Savior recently made the decision to embark on a building program to make room for our growing congregation; we especially need more classrooms for all of the children! Pastor Joshua P. Janke was born in Grand Island, Nebraska to Pastor James and Ann Janke. He grew up in Grand Island and Sioux Falls, South Dakota, and graduated from Luther Preparatory School, Watertown, Wisconsin in 2004. In May 2009, he received a bachelor’s degree from Martin Luther College, New Ulm, Minnesota. Janke served his vicar year of the Wisconsin Lutheran Seminary program (Mequon, Wisconsin) at Shepherd of the Mountains Lutheran Church, Reno, Nevada. He received the divine call to Risen Savior on May 23rd, 2013 and graduated the next day. Pastor’s wife, Elisabeth (nee Babinec), also known as Lissa, was born in Fond du Lac, Wisconsin. She attended and graduated from Luther High School in Onalaska, Wisconsin. She also attended Martin Luther College in New Ulm, Minnesota and graduated with a teaching degree. She has served as the K-2 teacher at Crown of Life Lutheran School, Hubertus, Wisconsin. Pastor and Lissa were married at St. Paul’s Lutheran Church, Onalaska, WI on July 3, 2010. While in Reno, she worked as a nurse for a dermatologist. They both enjoy everything to do with the outdoors — hiking, hunting, and fishing. They also like playing and watching baseball, basketball, and football.